5nine delivers a powerful, integrated and scalable Cloud Management solution for optimizing and securing workloads across the entire Microsoft stack – public, private or hybrid. 5nine’s innovative, powerful and easy-to-use software is designed to reduce costs, increase productivity and mitigate security risks. 5nine’s full-featured REST APIs is a big step toward empowering customers to embrace a unified approach to data management, while seamlessly integrating 5nine Cloud Manager capabilities within other systems. 5nine, the leading global Hyper-V and Azure Cloud Infrastructure management and security provider, today announced support for REST APIs – the latest enhancement to 5nine’s Unified Cloud Management solution. By standardizing hybrid cloud operations, this feature enables automation and scalability across systems. 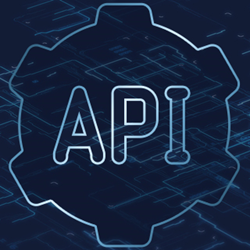 The new fully integrated REST APIs cover all the features and allow many customers and Managed Service Providers (MSPs) to amplify their user experience. 5nine clients will be able to integrate with the systems they use, access improved reporting dashboards and enjoy automation and scalability gained by moving from PowerShell Scripts and VMM. Implementing REST APIs will help 5nine’s customers streamline operations, reduce error and ensure workflow accuracy. These are just a few examples of how the introduction of the new feature can help MSPs reduce cost and grow revenue efficiently. The REST API development will continue to evolve through 2019 as 5nine consistently adds to the Company’s already broad portfolio of integrated solutions. 5Nine Cloud Manager provides a single pane of glass for Azure and Hyper-V Management, monitoring and backup/disaster recovery for distributed Microsoft Cloud deployments. “This new release also introduces several advanced but easy-to-use SDN (Software Defined Networking) management capabilities such as deployment and use of multiple network controllers,” said Dr. Konstantin Malkov, Chief Technology Officer at 5nine. 5nine delivers a single pane of glass platform for cloud management, security and migration - on-premises and in the cloud. Enterprises choose 5nine’s Unified Cloud Management Solution to simplify management, backup and recovery, accelerate cloud transition and achieve scalable automation. As organizations of all sizes grow their cloud infrastructure, they rely on 5nine’s elegant approach to boost productivity and increase efficiency, at an exceptional value. For more information, visit http://www.5nine.com and follow @5nine_Software on Twitter.